What if one day you decided to take some leisure time out on a lake or river in a small craft. Maybe to do some fishing, kayaking or lazily drift around drinking some cool beverages. As you are enjoying the moment, a strange splashing could be heard off the side of the boat. When you investigate the noise, a reptile-like head emerges out of the water and slowly elevates revealing the long neck attached to it. The creature now towers over you, glaring down as you now facing an animal that came out of some dinosaur movie. What do you do? In my last posting, “What Would You Do If A Small Cryptid Attacked You?”, a request was made on what to do in the above scenario. This was an actual past conversation, Pat and I, had on the possibility one of us were to ever go into the field of cryptozoology. Most of the reported cryptids in the world are creatures believed to inhabit bodies of waters sighted since ancient times to present day. 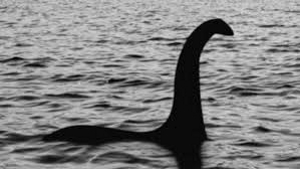 In Scotland, there is the Loch Ness monster, Ogopogo in British Columbia, Canada and Mokele-mbembe of the Congo River, just to name a few known lake monsters. 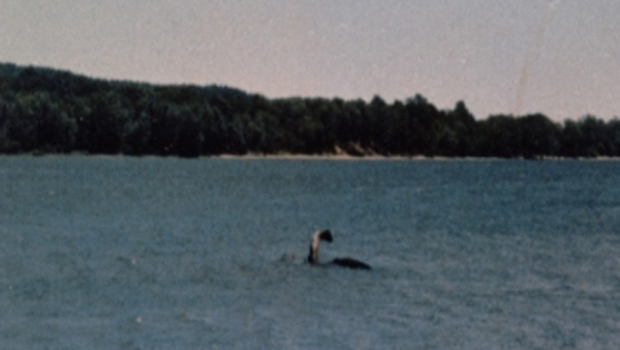 In our discussions, we concluded to study any cryptid residing in a lake or river, one would need to investigate on the water from a boat. We identified this situation as a potential danger upon encountering any hostile creatures. This incident maybe hypothetical, but in the research we conducted there are cases where people were allegedly attacked by something from the water. As an example, on May, 1965 in Fate Magazine was an article written by Edward Brian McCleary where he tells a story on how he and four friends got attacked by some prehistoric beast while out on a scuba dive. Mccleary claims he barely survived the encounter, however his friends were not so fortunate. Now back it our opening scene where you are out on a boat and face to face with what appears to be a dinosaur, what would you do? In such a circumstance, Pat and had the following in mind. As mentioned in a past article, there is a danger that instantly occurs within the first few seconds of such an encounter. Throughout life, you been told certain creatures do not exist within this world and when you are confronting with what should not be real, the human brain will go into a melt down struggling to understand the event. This is a dangerous state to be in as people will hesitate to react, be frozen in fear, or go into a panic. Despite the difficulty. try to stay calm as you have to avoid entering into that condition or quickly break free from it. You need to focus on evaluating the situation and what you observe will be usefeul in deciding the course of action to follow through with in responding. 1.) Observe the creature’s appearance and what is in the area? Does it or anything around it look artificial? You would not be the first person to stumble upon a movie set, a theme park or be the target of a prank or stunt. Confirm if what you are seeing is real. 2.) If you are convinced the creature is real, make certain your legs and arms are not hanging off the side of the boat. Remain quiet and motionless, while observing the cryptid’s actions. Do not pull out a cellphone to take pictures or record video as this may provoke the animal. Hopefully with some luck, it was only curious in seeing what you were and will withdraw back into the water and swim away. Allow some time to pass, then immediately head to shore as being out in the water puts you at an major disadvantage if the creature returns. 3.) Now, if the cryptid still remains stationary or swimming around submerged, then you need withdraw from the scene. Do not turn your back to the creature and keep it within view without making eye contact. Either float with the current or paddle away. Once distance gained, head for the shoreline. Remember, your priority now is to reach land for safety. 4.) Start taking inventory of what you have in the boat. Note what make sounds such as horn, air horn, motor, whistle. Is there anything you be used as impressive weapon, paddle, oars, net, fishing rod or flare gun. What do you have which may aid you in escaping this encounter. 5.) If the creature follows you, take something small that floats or any food and toss is into the water. Maybe this will distract the animal long enough to gain some distance. However, if the creature continues to purse, then the next course of action will depend on your comfort level to its proximate. 6.) The cryptid shows no hostility and is not threatening, quickly get to the shoreline. Once upon land, put some length between you and the water. However, if the creature is showing aggression make as much noise as you can by shouting or yelling, hitting the water with the oar or paddle, use the horn, blow the whistle or turn on the motor. This action may result in two outcomes where the sounds will either frighten the cryptid off or provoke it into attacking. 7.) In the likely event the creature is going to attack while surfaced, if there is a flare gun shot at the face, flood or flashlight shine it into the eyes, arm yourself with an oar, paddle, net, fishing rod or anything with reach to attack the head or neck with. If the animal is submerged, use thrusting motions with an oar, paddle, net, fishing rod or anything with reach into the water to hit the creature. On the possibility you have a boat motor, attempt to get into position and use the impeller as a weapon. Hopefully these actions will discourage the cryptid to leave. Still attempt to get to the shoreline. 8.) After your assaults, the creature still remains nearby while submerged, be aware its’ next move could be to get you out of the boat into the water. It may attempt to tip the vessel over or tear it apart. If you find yourself thrown in the water, try to swim to the shoreline. Locate the creature and keep it sight without showing your back to it. Like most aquatic predators, the crytpid’s underwater attacks will be bites to watch out for. If the creature latches on you, attack the eyes either by gouging at them with your hands or using an impressive weapons such as keys or a pen. This maybe force the creature to let go and back off. 9.) If you are able to get away from the creature and to land, immediately put distance between you and the water. Most water-dwelling creatures will not go far on to shore as the terrain makes them vulnerable. However, if the cryptids continues to chase you, look for thick brush to escape into. If the area is an open field, look for any obstacles to put between you and the creature. If necessary, look for rocks to throw or anything that could be used a club to attack the head. Aim for the eyes and noise. 10.) With hope, you have fought off the creature and it retreated back into the water. Do return to your boat, instead seek aid in getting medical attention if required. Any information shared about your experience, discretion is advised. You may pick to keep the incident to yourself or if your decision is to go public, be warned your life will never be the same as there will be those looking to debunk, prove or hear your story. This is your choice. At this point, everything discussed has been a hypothetical scenario. However, if you are finishing out on Lake Champlain and Champy happens to appear, hopefully this article could be of some aid in your encounter. This entry was posted in Thoughts and tagged Cryptids, Cryptozoology, lake monsters, Monster, Myth, Paranormal on May 7, 2017 by Gatekeeper. Pretty terrifying thinking about encountering an aggressive creature on land, but I think water would be far worse. My instinct would be to head to shore as soon was I was able. Yes getting back to shore is a good idea as you first need to get away from what’s chasing you. I’m all for that, LOL! Excellent advice. And a good way to murder somebody and then say the Loch Ness Monster was the real culprit. Well John, I think there was an actual case some years back involving a murder case in the States, where someone try to blame the death on a cryptid. I would like to say Bigfoot, but I need to look this up again. If I could find this incident, it’ll be posted. Thanks for writing the article. The shore definitely seems a good option. If I managed to get to shore then I would find some way to get evidence with a camera/phone, but as you said, definitely not before! No problem as long as you enjoyed article.